At last, we had the first 2016 outing for the Wellington Bird Banders. It has been a long wait but we were rewarded with 2 warm and calm days down at the Prince of Wales Park. 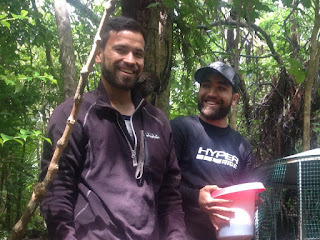 Matu and Anette set up two nets, one along the lower stream bed and one further up the hill across a popular water seep. On the second day a third net was added further along the stream bed. There was a small but contented team of catchers for both days and likewise the birds were few in numbers. This gave us all a chance to brush up on our catching and banding skills without too much pressure. A total of 11 birds captured including 3 recaptures and a fantail with a louse fly! In late February we were joined on the island by two representatives from Ngati Toa. DOC works in conjunction with Ngati Toa to manage Kapiti Island so it was great to be able to take Raniera and Rakairoa Grace through a few of the tasks we have out here. 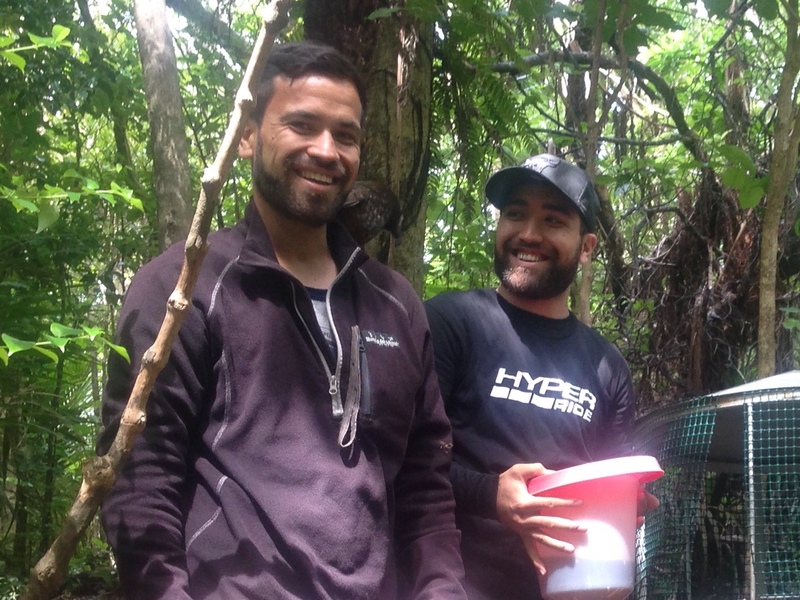 They spent the day with us learning about the hihi program and assisting with catching and banding. We had an enjoyable and successful day with the team managing to catch two juvenile hihi, bringing the total banded birds for the season to 30 (21 adults and 9 juveniles). We will be continuing efforts to catch unbanded birds over the next few weeks while the hihi are still interested in the feeders. A follow up post with a season wrap up will not be far away.